What do shoes say about a man? To your average man, they are nothing more than a comfortable way to get from point A to point B. Shoes are versatile and serve many purposes. Average people do not seem to notice or care about the fashion statement that shoes make. A well-cultured man is not an average man and this should be reflected in his wardrobe. Shoes mean so much more than a means of comfort, they can define a man. A man does not wear a suit with sneakers because a suite is not meant to go with sneakers; moreover, a man does not wear casual clothes with square-toed pennies. It simply sends the signal of bad taste or a complete lack of understanding how an outfit is put together. The right kind of shoe can say so much about a person and conversely, the wrong kind of shoe can do exactly the same thing. There are essential shoes of every man’s wardrobe. Every man must have dress shoes, fashionable run-around shoes and then the athletic shoes. Every man must have these three pairs of shoes to be the basis of a simple but respectable wardrobe. I believe whole heartedly that fashion starts from the ground up. Now that I’ve successfully broken down shoes into three fashion groups, I’ll take the time to expand on those groups and show the diversity that exists within this group. We will start with the ever dependable, casual and versatile fashion shoes, athletic shoes, and dress shoes. Fashion athletic shoes come from many different companies and many different price ranges. I will begin with an economy shoe, mid-range shoe and a high-end shoe. American Eagle has always been known for their clean-cut college dorm look and these shoes epitomize that look. The AE Magellan is a classy, simple shoe with a clean off-white color with elegant brown highlights. The shoe itself is made of frayed canvas and has a protective rubber bumptoe. The sole of the shoe itself has extra padding which offers the best comfort when running errands around town. This is another ideal shoe for just running around town. This is another simple style that doesn’t stand out, but it can put an ensemble together. These go perfectly with the T-shirt and Jeans look or the summer barbeque look. These shoes just scream comfort and function and they are not overbearing on an already classic American style. This is a shoe that takes the classic Adidas look and doesn’t do a whole lot to mess it up. This is the perfect shoe for a night on the town. This is another high-end model that can be daring if worn correctly. This shoe features a suede upper with leather highlights. The foot bed is contoured and very comfortable and textured rubber allows for a very heavenly experience for your feet. Every well-cultured man has a certain fitness routine and the proper shoe makes all the difference. The key for these shoes is comfort above all. You aren’t at the gym to compare outfits, so get your mind right! There’s really no economy, mid-range, high-end shoes for this category. There are two shoes here, one I would recommend for anyone who is into running and another for those just beginning. This is the Gel-Evolution 4 from Asics, a brand that has always been at the forefront of the athletic training shoes industry. The GE-4 is “designed to provide maximum support, with an extra wide platform and toe box for superior stability.” Asics has been known for their gel support that really does more than just provide a cool gimmick. These shoes are at the top when it comes to overall flexibility and comfort. This shoe is perfect for the heavier set man because it provides cushioning where it is needed the most: in the heel. The dress shoe is the secret weapon of well-cultured men. While it might not occur to you at first, dress shoes can go a long way. People notice shoes more often than you think because they can make or break an outfit. 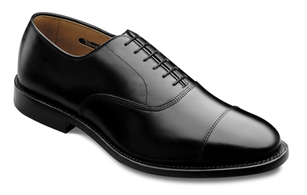 Dress shoes come in many different styles and price ranges so I will offer the best variety that I can. This is a very classy shoe for those with lighter pocket books. It doesn’t take a lot of money to look good and at sixty dollars, you really can’t go wrong with these. This shoe is made of soft nappa leather and has a comfortable and sturdy rubber sole. This shoe has a more casual tone in terms of being a dress shoe meaning that this would be great for the office, out on the town or weekend getaways. I’m a huge fan of Banana Republic. They always seem to have the right shoes that never go out of style. The penny loafer is a traditional shoe and it’s very hard to mess with tradition. Allen Edmonds is a domestic shoe manufacturer based out of Port Washington, Wisconsin. It is one of two American shoe companies that still make their shoes domestically. This shoe is a prime example of American style. The park avenue is the perennial best seller and there’s no questioning the appeal. When it comes to a shoe like this, no price is too high. Alden is the other company that makes their shoes domestically. Based out of Middleborough, Massachusetts, the company hand sews all their shoes and the quality and care is shown beautifully. The Zelli Encore 503 is a beautiful example of Italian Design. This slip on is made of nappa leather and features a super flex sole. This classic style is a testament to why Italian shoes are so coveted. I really love Adidas Samba Classic. The Millennium Samba they just released looks weird, imo. From the point of view of a non-US guy, this article’s not as useful as many simply because it doesn’t include photos. If it did that would allow us to see what you were talking about and make appropriate judgements on locally available products. I apologize for the lack of pictures, but they can be seen on the sites (that’s why I included the URLs). I’m trying to get adjusted to the UI so hopefully as I get more comfortable with the setup the articles will become more polished. I’m awaiting word from kirk about doing the whole slide show thing for This site. not very comfortable for long walks, like i just went through at cedar pointe, but they’re very nice for casual shoes. What about boat shoes for casual wear? I never thought of boat shoes while I was writing this. That is actually a really good idea. 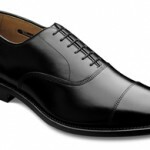 Here’s a link to some shoes that look very nice in my opinion.